When I was younger my Nan and I would visit the library often and we’d choose something different and talk about them for hours – I really loved it. I’m grateful that I was taught from such a young age that reading is important and should be enjoyed. I will happily encourage my children to read and to live in their imagination! Below you will see a select few of the books I loved during my childhood. The books I’ve chosen range from me being 10 years old until I’m about 13/14. I know this post is all about my favourite childhood books, but I simply couldn’t choose one by Jacqueline Wilson because they are all fantastic. I will even admit to reading a variety of her novels now. What I loved most about them was the balance between illustration and writing, it helped you to enjoy the novel a lot more. Jacqueline focused on adult issues, but made them easier to understand for children and teenagers and that helped. Everyone had these books and everyone loved them, I bet you even had some on your bookshelves too, didn’t you? I think I had some normal Goosebumps stories and also, the Scare Yourself Goosebumps books too. The Scare Yourself books allowed you to choose how the story would end and that was so exciting. You’d read a chapter and then you would pick a certain page to go too based on a series of scary events. I usually ended up getting eaten or put to my death, sadistic, but it was fun. I’d advise anyone that hasn’t seen them to buy one and have some fun – regardless of how old you are! I guess this isn’t really a childhood read, but I fell in love when I was about 14 or 15. Of Mice and Men follows George and Lennie as they search for job opportunities during the Great Depression in America. On the surface it sounds a little boring, yet when you read you find out that it’s so much more! It’s about dreaming of better things and making sure you have a companion in someone regardless of what’s happening in the world. Lennie is mentally disabled and in some situations he doesn’t understand what he’s done wrong or in fact what he’s actually doing. I think this is when my empathy starting flowing out of my adolescence because I cried when reading – it’s brilliant. You’ve all read the book and seen the film – they’re brilliant, aren’t they? I LOVE this book so much! A little girl who loves to read and has magical powers what could be better than that? I always wanted Miss Honey to be my teacher because she was so nice. However, did anyone else think it was a bit of a weird relationship between Matilda and Miss Honey or am I just being overly cautious? 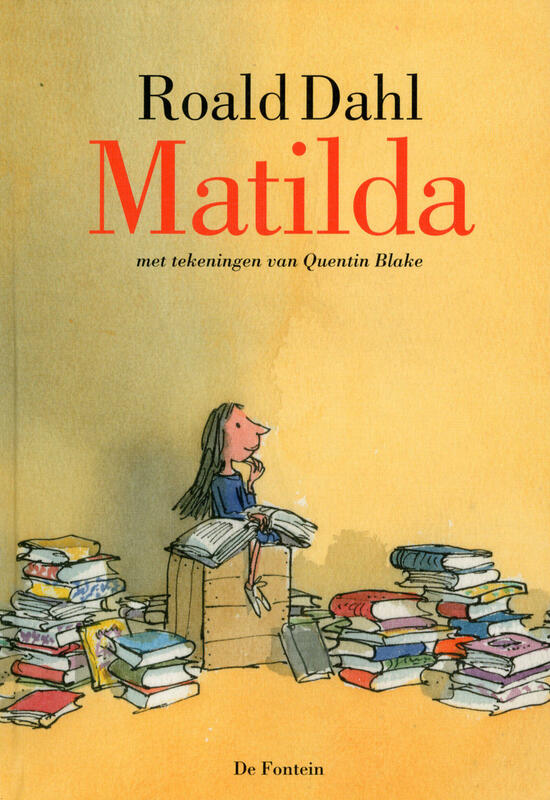 Anyway, Roald Dahl is a genius and although I’ve picked Matilda his other stories are great too. What are your favourite childhood books? are there any you think I’ve missed? Let me know!